REGISTRAR-General Clemence Masango yesterday told Parliament that the demand for emergency passports was now so high that his department might soon run out of passport paper. Masango made the disclosure when he appeared before the Levi Mayihlome-led Parliamentary Portfolio Committee on Defence and Home Affairs to respond to a petition by the Gwanda Community Trust on the right to birth certificates when he was asked by Chiredzi South MP Killion Gwanetsa (Zanu PF) to explain the backlog on passports. 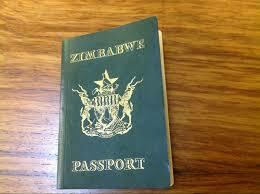 In November, Masango disclosed that there was a 170 000 passports backlog, which had accumulated since May last year. “We have two types of urgent passports — one which can be availed within 24 hours and costs $318, and another, which can be issued within three working days and costs $250, and then a category which can be availed within four weeks ($53), but is affected because currently we are unable to avail them within four weeks due to lack of consumables like ink, passport paper and others, which need foreign currency to be imported. “For the $53 non-urgent passports we have just finished printing the July 2018 applications, but we are able to deliver the three-day passport and the 24-hour one,” Masango said. “For the urgent passports, the clients are able to pay, but the resources are very limited and if we continue to produce them at the rate at which we are doing, then within two months we will run out of paper and so we have to scale down,” he said. Masango said they also require foreign currency to procure materials for birth registration documents and called on Treasury to urgently intervene. On the issue of birth certificates, Masango said the documents are issued for free, adding that a six-year window perion was offered where parents can get birth certificates for their newly-born children for free, and if they miss the deadline they will be charged $2 to get a birth certificate. For children born of foreigners in the country, as well as Zimbabwean children born outside the country, he said the country’s Constitution allowed for dual citizenship and parents to get birth registration documents through their embassies. On the issue of people from Matabeleland North and South provinces, as well as other areas like Chiredzi where children were said to be struggling to get birth certificates, Masango said most of the challenges have to do with distance and shortage of funds for his department to provide mobile registration. Beitbridge East MP Albert Nguluvhe (Zanu PF) said the problems of children not having birth records in Matabeleland South might emanate from the fact that parents immigrated to South Africa leaving children without the documents. Harare Central MP Murisi Zwizwai (MDC Alliance) then asked Masango to explain why officials from his department were making mistakes in spellings of surnames and names of people who speak minority languages like Shangani in birth records. Masango said it was an attitude problem in both parents and staff.